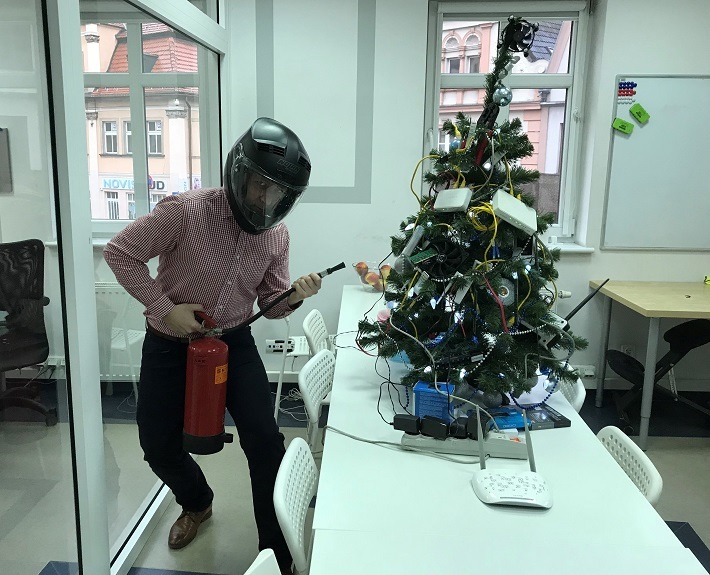 As this is our last day at work before Christmas, our IT security officer is getting ready to turn the Christmas decorations on. Wish him luck! In case this doesn’t end well… We wish you all happy holidays and a peaceful time spent with your loved ones. May Santa bring you joy, restful holidays and a prosperous 2018.